A group of trees removed before developers were given planning permission will not need to be replaced, as no breach of planning has taken place says Northumberland County Council (NCC). 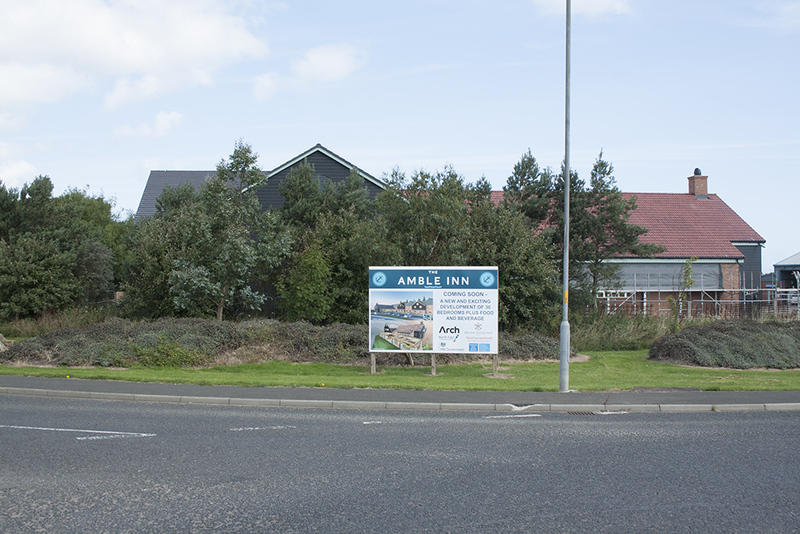 Arch Developments who are the developers for the Amble Inn applied for permission to remove the trees on land in front of the hotel, as part of the landscaping scheme. Plans submitted for approval also included lighting and odour control. However the county ecologist objected to the landscaping scheme, saying it fell short of what was required and should be revised. Amble Town Council also objected to the removal of the trees. The following day however, workmen removed trees on the land at the fish roundabout. This was before any official decision on the plans – landscaping, lighting and odour control – had been made. We asked NCC whether the removal of the trees had been contrary to planning regulations. A spokesperson told us: “We have received a number of comments about the tree removal – and our enforcement team has now investigated this. 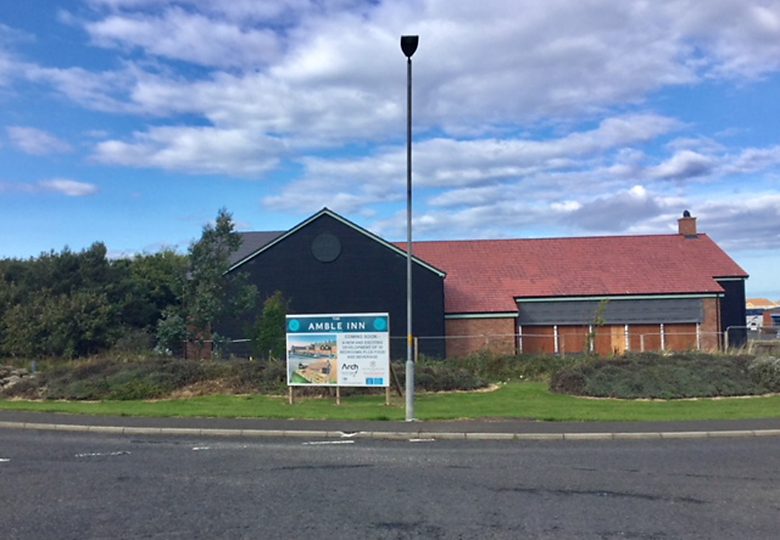 “The trees in question are not in the Conservation Area or protected by a Tree Preservation Order, and there are no conditions on the planning approval for the site which restricts their removal. “Removing the trees does not constitute a breach of planning and therefore no formal action is being pursued. 2 thoughts on "Trees removed without permission will not be replaced"
So once again, builders get away with just doing what they want to do and ignoring planning. It is about time developers such as Arch and Cussins were made to follow the rules. Me as an unimportant person would soon be pulled up if I behaved as they do. I think Arch have got a bloody cheek removing the trees. Can’t believe they’re getting away with it as well. Great way to aggravate the locals whose support they will need!